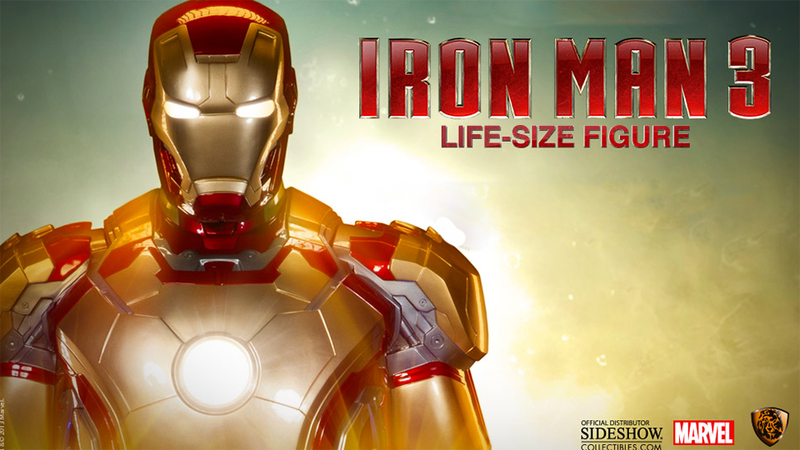 Sideshow Collectibles has this Iron Man Mark 42 life-size figure available for pre-order for just $8,500 plus shipping. Over seven feet tall, this breathtaking item is individually painted with high gloss paint for a stunning finish. This film-accurate recreation features brilliant LED light up eyes, arc reactor, palm and display base.